Use the subscription button to get new posts by mail automatically. 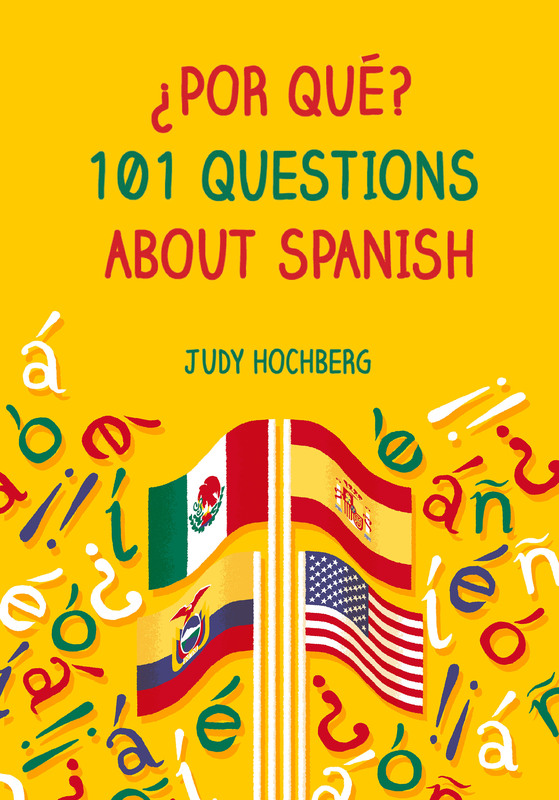 You can also email me at spanishlinguist22@gmail.com. I am available to give two different 45-minute presentations appropriate for college students (and faculty). See About/”Public speaking” for more presentations. Just thought I’d write to tell you how much I enjoy your posts, am very happy I chanced upon your blog. I studied Spanish linguistics in grad school in the 80s, and while language dissection has not been an integral part of my daily employment since then, the underlying curiosity in language and its origins lingers. Thanks for feeding a long-dormant muse, your posts brighten up my week and make me feel more creative. Thank you so much, Janet! I love writing about Spanish and am glad you’re getting something out of my posts. Happened upon your blog while looking up “Spanish linguistics.” Am enjoying it immensely. I am not probably going to do any more college but I am very interested in the history of the Spanish language. The amount of loan words from Arabic and the centuries of rule make me believe that the pronunciation of Spanish was changed by Arabic/Berber languages. Such as the jota sound (sounds very Arabian to me). I was told otherwise by a Bolivian but that sounds like Christian propaganda to me. Can you comment on this? Sorry for the delay before replying…I doubt Arabic had anything to do with the jota. Remember that modern Spanish comes from the Castilla region, which was to the north of the conquered part of the Peninsula. I look forwards to Spanish fridays! I am eternally grateful that I chose to learn Spanish in high school. It’s a basic Romance language that I am more fond of, but I don’t have much opportunity to use it besides understanding bits of dialogue on TV and discovering the occasional cognate. Thank you for writing these! Love your blog. Really excellent. I just started following you on Twitter (somewhat a mystery to me as well but it seems to have worked!. Gracias — ¡I’m glad you like the blog! I stumbled across your blog just today. I love it so far! I work as a medical interpreter and I like to think that I sound pretty native even though I was born here. My parents are from Colombia, and as you may know, Colombians are very proud of their Spanish! I never took Spanish in school, mainly because I never thought it could help me. Now as an adult, I’m no longer satisfied with being fluent and having a native accent. I want to know those rules that from personal observations, no one seems to know! I look forward to reading all your posts and learning a great deal! Muchísimas gracias por compartir su conocimiento! Jaime, I was so glad to hear from you, and am glad that you enjoy the blog. I hope you will consider reading my book, too! It is supposed to be back in stock on the Bloomsbury site any day now (I was expecting it today! ), and then you will be able to use the 35% PQ101 discount. I have heard about the Colombian pride in their language. One of these day sI will have to visit and hear Colombian Spanish for myself — not to mention visiting El Museo del Oro and el Museo Botero. So far I have only made it to South America once, and only saw Quito and its immediate surroundings. But I loved how you could tell from the topography that you were in a different part of the world. Thank you for the promo code. I am definitely considering getting your book. So, this is more of a question than a comment. I enjoy daily Bible reading and I usually do so in Spanish. There’s a word that appears dozens of times in the Bible; the word “harvest.” (some 60 times) Interestingly, in Spanish, the same word can be translated three different ways. I have seen the word cosecha, siega, and mies. All of which are used in the Scriptures. My question is, what’s the difference? Why are there three words used in Spanish, but only one in English? They all almost seem interchangeable, but I’m not satisfied with that theory. Could you give me your thoughts? Thank you for visiting my blog, and for your interest in my book. I just wrote a blog post about ‘cosecha’, ‘siega’, and ‘mies’. It will be published tomorrow afternoon — thanks for bringing this topic to my attention! More broadly speaking, it’s no surprise that one word in language X can correspond to more than one word in language Y. Think of famous examples like ser/estar or saber/conocer. Obviously there are meaning/usage differences between these pairs, but we just smush them in English. And what about English synonyms like sofa/couch and present/gift? Since the connection between a word and its meaning is an arbitrary social contract, we have tons of flexibility in how we divide up real world concepts and map them onto words. That’s one thing that makes language endlessly fascinating. I am a “newbie” to the Spanish language, but tengo mucho ganas apprender el español! Me encanta la idioma. To me, Spanish is the most beautiful language. So thank you very much for your passion for and your posts on Spanish. They are very helpful to me. But being just a beginner, tengo una pregunta que me está volviendo loco. There is a chilren’s telenovela called Pablo y Andrea that was released in the US by Televisa Ninos of Mexico a few years ago. The capitulos are online. I got hooked on this telenovela even though I couldn’t understand a great deal of the Spanish. Now to my question. In the very first episode, about three or four minutes into the story, the aunt asks one of her little nephews, who has just come home, where his brother is. He replies, “Sepa……”. How would this translate? I have looked online for help, for translations and “nada!” I even asked a Spanish teacher and got a blank stare! I’d appreciate any help you can give me. Incidentally, if you search “Pablo y Andrea” you can view the first episode and the context for his comment. Just don’t get addicted! Thanks again for your help. Ron, welcome to my blog, and ¡buena suerte! with your Spanish studies. In answer to your question, sepa is a form of the verb saber ‘to know’. Specifically, it’s the present subjunctive, third person singular. I watched the scene and think that the boy is abbreviating ¿Cómo quieres que lo sepa? ‘How should I know that?’ as just sepa. I do hope you enjoy my book! Thanks Judy. Appreciate your help and response. Don’t mind your corrections at all. That’s why I read your blog! I love your blog, and I bought and am currently reading your book and it’s giving me loads of ideas for my undergraduate dissertation. So thank you so much! I’m living in Andalusia at the moment and am fascinated by the removal of the final -s they do here, and was thinking about studying that and its comparison in Latin America… But there’s so much other good ideas I’m getting from your book (as well as it just being generally informative and interesting). It’s hard to find one that is the right scope! So I guess my comment is to say thank you, and to ask that if you could write 8000 words on one topic in Spanish, what would you want to write about? Lucky you to be living in Andalusia. I haven’t been there since I was a college student, but am planning a return trip in the sprint with my consuegra whom I traveled with in northern Spain last summer. My favorite topic is verbs, and I am fascinated by the different ways different dialects use the preterite versus present perfect, especially since French went all the way and made the preterite (they call it the passé simple) into a literary tense, so that their present perfect (the passé composé) is used where Spanish uses the preterite. So I guess I would start by doing a literature search on this topic, and hope that a specific question would emerge that I could research quantitatively. Maybe you could think of a clever way to elicit past tense utterances, set in different time frames like ayer and la semana pasada, from speakers from different dialects. Similarly I’m curious about how different dialects use the conjugated future. I’m under the impression that its retreat in favor of the ir a future is more advanced in the New World than in Spain, but I’m not sure about this. So again I’d begin with a lit search and see what the pressing issues are. This question would have a nice side branch about the use of the conjugated future to express probability (e.g. Serán las dos to mean ‘It must be 2:00’). It would be painful, but perhaps you could do some corpora work to track this use of the future over time and across dialects. I’m also quite interested in metalinguistic awareness wrt the various ‘you’ pronouns. This is a nice area because on the one hand, it is grammar, which normally operates at a subconscious level, but on the other hand, it’s one that children are surely corrected on, and that conspicuously differs across dialects. BTW I did my undergrad thesis on -s deletion in Puerto Rican Spanish and managed to publish a paper on it in Language, which is the flagship journal of the Linguistic Society of America. This was a huge deal for me as a young linguist, and you can still find and read the paper. I didn’t cite it in the book because it was never relevant, alas. I hope the above is helpful, and do be in touch if you want to brainstorm some more. In Northern NM, many people use “guarrero” ? meaning “junk”. Are you familiar with this word? Everybody’s mom and grandma use it, but we can’t find it in the Spanish dictionary? Thanks!! The Real Academia defines guarrero as a synonym of porquerizo, meaning ‘pigkeeper’ or ‘pigsty’. (Guarro is apparently a synonym for for puerco.) That seems plausibly related to the usage you are familiar with. I found your blog on Reddit 🙂 I’m co-founder of https://www.spanish55.com/ , we teach Spanish to professionals in the US through 1-on-1 Skype sessions. Keep up the good work! I’m sharing your website with my team and students.